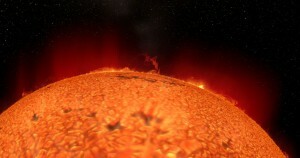 The Advanced Visualization Lab is working with the Adler Planetarium in Chicago on an upcoming full-dome production. 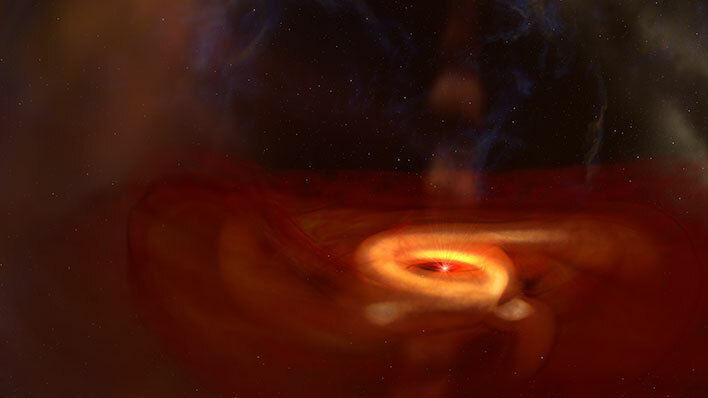 AVL has created visualizations of the surface of the sun and of the formation of galaxies that includes the formation of a proto-planetary disc. The sun image is a composite of simulation data provided by Mathias Rempel from the High Altitude Observatory at the National Center for AsmosphericResearch and by M.C.M. Cheung, of Lockheed Martin Solar and Astrophysics Lab; and observational data provided by Steele Hill of the Solar Dynamics Observatory at NASA Goddard Space Flight Center.